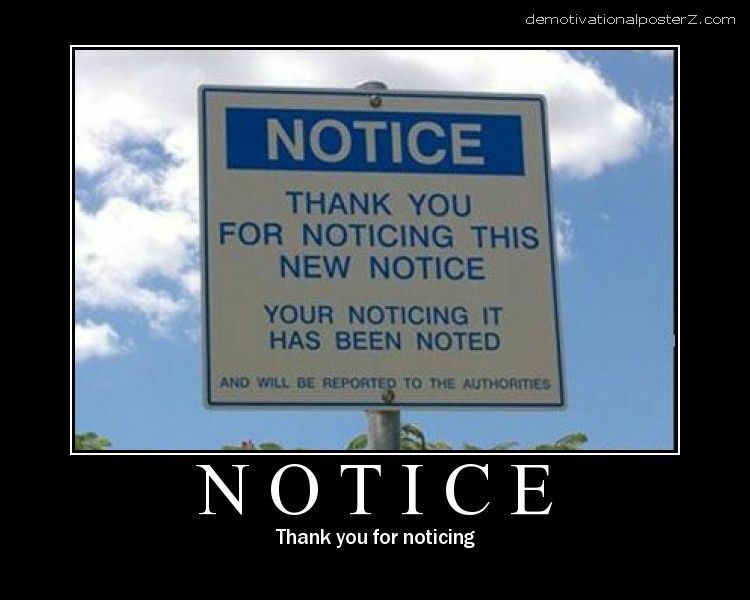 Thank you for noticing this new notice. Your noticing has been noted. And will be reported to the authorities.